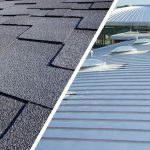 Already popular in the commercial sector and growing in popularity in the domestic field, metal proves to be a great type of roofing material as it is long lasting, energy efficient and durable. 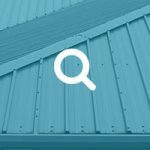 However, despite all these benefits, there are some misconceptions circulating about metal roofs, and we’re going to uncover some of those myths in this article to give you a more rounded view of metal roofs! The most popular misconception about metal roofing is how they can be extremely loud when it rains. This is a complete myth and in fact, they silence any noise created from the elements such as rain, hail, sleet etc. 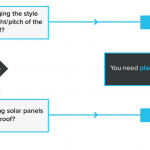 If insulated correctly with the addition of special sound deadening underlays, they can actually be a lot quieter than other roofs such as an asphalt shingle roof. Firstly, it is very uncommon that lightning will ever strike a building. Lightning strikes whatever object it comes into contact with first, which is more likely to be the highest point in the area such as a tree, pole or anything other tall object. In terms of material, metals do conduct electricity, but lightning is not especially attracted to metal so this should not cause reason for concern. However, if you are in doubt then you can fit a lightning conductor for peace of mind. 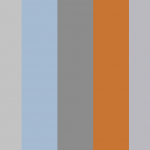 Many people worry whether a metal roof will make their homes colder. The simple answer to this is no, it will not. As long as the correct insulation and vapour barriers are used where required then your metal roof should do quite the opposite and actually help insulate your home, keeping it warmer and more comfortable during the colder months of the year, as well as keeping your heating bills down. 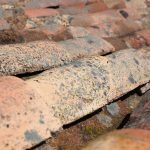 If you need to have access to your roof in order to clear your guttering systems out for instance, then you can walk on your metal roof, just as you can any other roof. However, we always advise caution and recommend consulting the company who installed your roof before you go ahead, just in case there are any special instructions to follow or things you should be aware of. Most metal roofs have a Class 4 rating, meaning it has tested by a 2-inch steel ball being thrown at it in the same spot, twice, and the roof failed to break or even crack. So long as you have a strong decking, you don’t have to worry about potential damage from hail or any heavy rainfall, snow or any other extreme weather type. This may have been true for older style metal roofs, but today’s modern roofing systems are built to last. 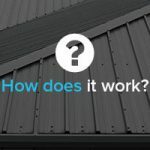 Steel metal roofing is coated in either a combination of zinc and aluminium or just zinc on its own. This coating acts as a barrier against any rusting, so you can still enjoy the benefits of a pristine looking metal roof which will last 2-3 times longer than a non-metal roof. The only exception to this is when migrant rust can occur. However this only happens when metal cutting is carried out in the vicinity and the dust settles and is rained upon. 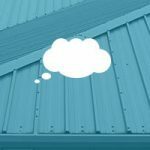 So now we’ve revealed the most common metal roofing misconceptions that seem to be floating around, you don’t have to worry about any of these standing in the way between you and your brand new metal roof! 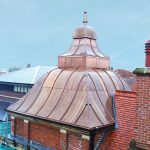 If you’re in need of a new roof, either for a commercial or a domestic property, then why not get in touch with the metal roof specialists at JTC Roofing today. We can provide you with a high quality metal roof that will last you well and improve the look of your property. Simply get in touch with our team today for more information and advice.